Setup OpenVPN server on Amazon EC2 | It`s full of stars! Recently I got some new hardware that I will use to run some useful software. To use the software from anywhere, I’ll need to have remote access. As I cannot do DMZ or port forwarding with my new internet provider, I decided to connect my home server using VPN to a access machine running on AWS. The AWS EC2 Linux computer will serve as my entry point. Services running on the RP at home connected via VPN can be accessed from EC2. Other computers at my home cannot be accessed, as the IP is different and no route is configured. How to ensure the communication is secure? How to guarantee the tunnel is up? How to enable access from EC2 to the services running on the client? How to give access to the services from the internet? The three top question will be answered in my next blogs about how to set up OpenVPN server and client. The first question is the easiest to answer: by using a VPN solution. I am going to use OpenVPN and this blog is about how to setup OpenVPN. I’ll cover the installation on the EC2 instance and on the Raspberry Pi, as well as the initial setup with the certificates, server and client configuration and how to connect. Starting the client and server as service keeps them running and in case the connection fails, an automatic reconnect is attempted. The EC2 instance can access the services running on the client automatically. The last two questions will be answered sometimes later. The OpenVPN software is available in yum on EC2 Linux AMI. You may need to enable the REPL repository. I assume you did this already. The packages to install a openvpn and easy-rsa. This will also install a public key to install a package and ask for your permission to do so. The easy-rsa package is needed to set up a certificate authority. In case you do have a CA available, you can use your CA to generate the certificates used by OpenVPN. For those that do not have a CA available, take the easy-rsa functionality. The command above installs easy-rsa 3.x. With 3.x, the way how to use easy-rsa and to set up a CA and issue the certificates changed. You can see in detail how to use easy-rsa 3.x at the documentation available at the GitHub project site. 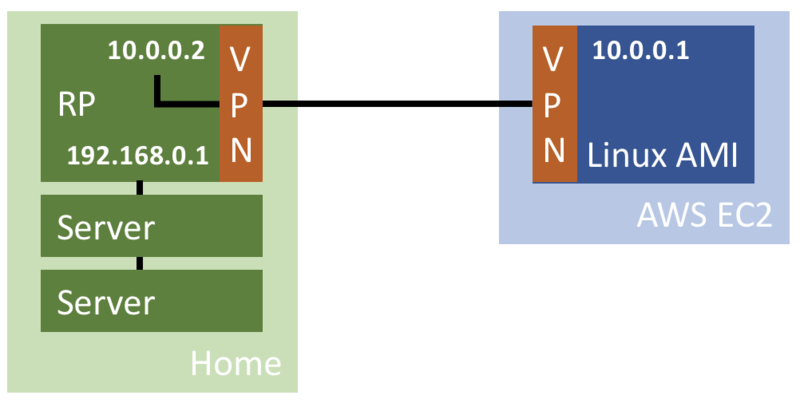 Configuration of OpenVPN is put and read from /etc/openvpn. Easy-rsa software should be in a separate folder, like /home/ec2-user/easy-rsa, but to keep all in one place I’ll put easy-rsa inside the /etc/openvpn directory. Note: for real productive usage, don’t do this. Separate easy-rsa executables and config files. Copy easy-rsa to your selection location. For this, first find out where easy-rsa is installed. Location is /usr/share/easy-rsa/3.0.3. I’ll copy these files to /etc/openvpn/easy-rsa. 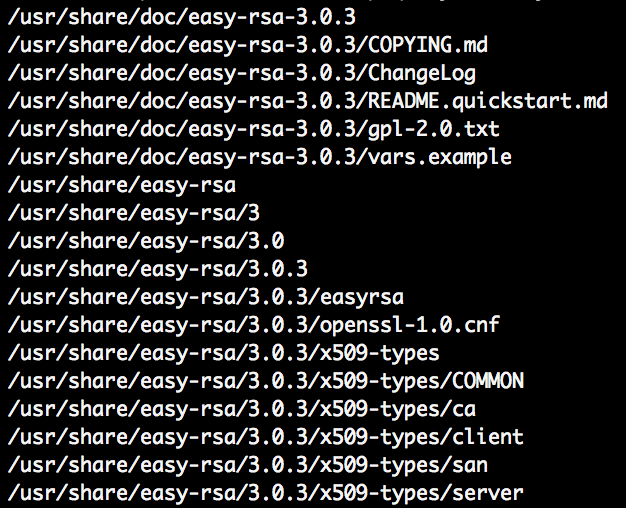 sudo cp -Rv /usr/share/easy-rsa/3.0.3/* . Follow the steps outlined at the easy-rsa git site. 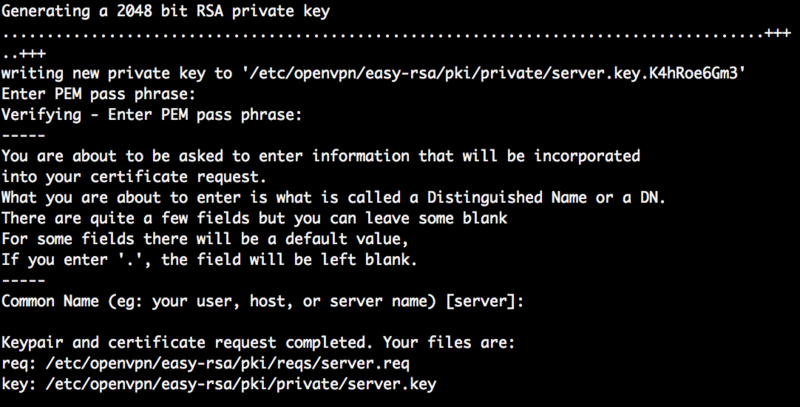 For the following steps, go into the directory where easy-rsa is installed. This will create the CA certificate to sign certificate requests. In other words: whoever gets access to the private key of the CA created in this step, can create new valid OpenVPN clients for your setup. Take care of the CA certificate and key. The passphrase is used to unlock the private key and is an additional level of security. Even when someone gets a copy of the private key of your CA, without the pass phrase the key is not usable. The common name is used to identify the CA. I used the FQDN of my web server. After execution these two commands, the CA is initialized and can be used to issue certificates. Which kind of certificate is going to be issued is specified by the easy-rsa command when creating the certificate request. Create a certificate request containing the identity information of the server and let this request be signed by the CA. By specifying the server parameter, the request is for a server and the CA will include the value TLS Web Server Authentication in the extension. As with the CA certificate, inform a pass phrase that adds additional security to the private key and a common name to uniquely identify the server. I used server as CN. Of course, it could also have been openvpn.mydomain.com or something else. Send the request to the CA and sign it to issue a valid certificate. With that, the CA information is added to the CA, making it official and clients that connect to OpenVPN server will know if they can trust the server. Only when trust is verified, a connection will be established between the server and client. You’ll need to confirm the request by typing yes and the pass phrase. The following certificate is needed to harden the overall security of OpenVPN. As OpenVPN is using TLS, it makes sense to add HMAC to validate integrity of the packages received. For this to work, a shared secret key is needed. This key will be written to a file named ta.key. Take a sample configuration file as a template. Can be found in the doc folder of openvpn. The sample configuration file for the server is server.conf, and for the client, client.conf. 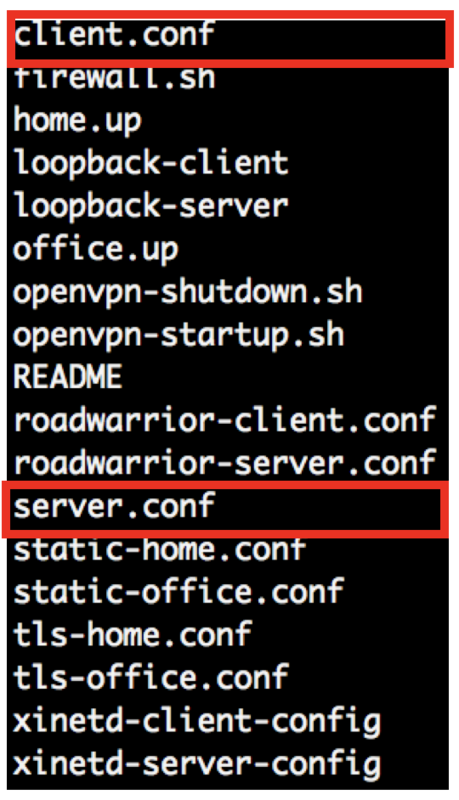 Copy server.conf to /etc/openvpn and edit the file. 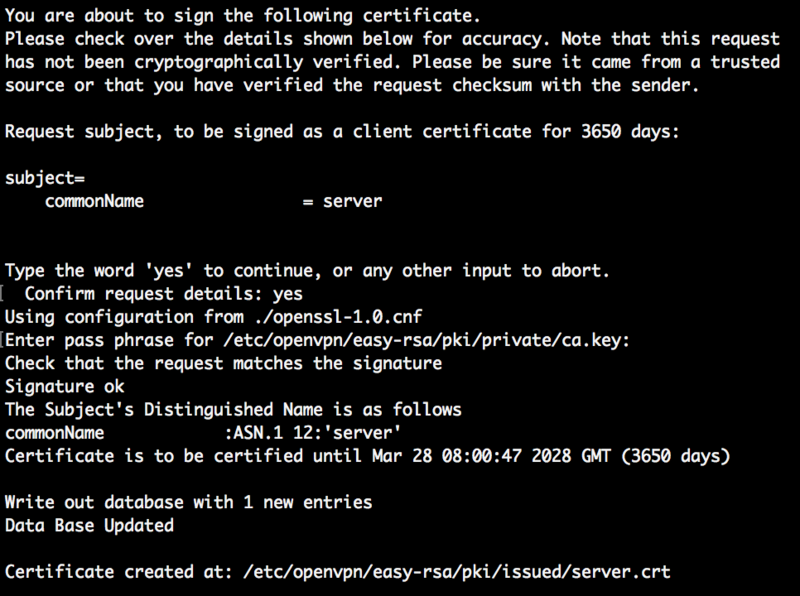 These parameters inform OpenVPN where the certificates and Keys are stored. The CA cert ca.crt is used to validate the client certificates. They must be issued by this CA. The server.crt and server.key are used by the OpenVPN server to encrypt traffic and authenticate itselfs against clients. Diffie hellman dh.pem is used to provide Perfect Forward Secrecy. During startup, you need to provide the passphrase of the server certificate. If all works, OpenVPN starts without erros: Initialization Sequence Completed. After this, the server is waiting for clients to connect. 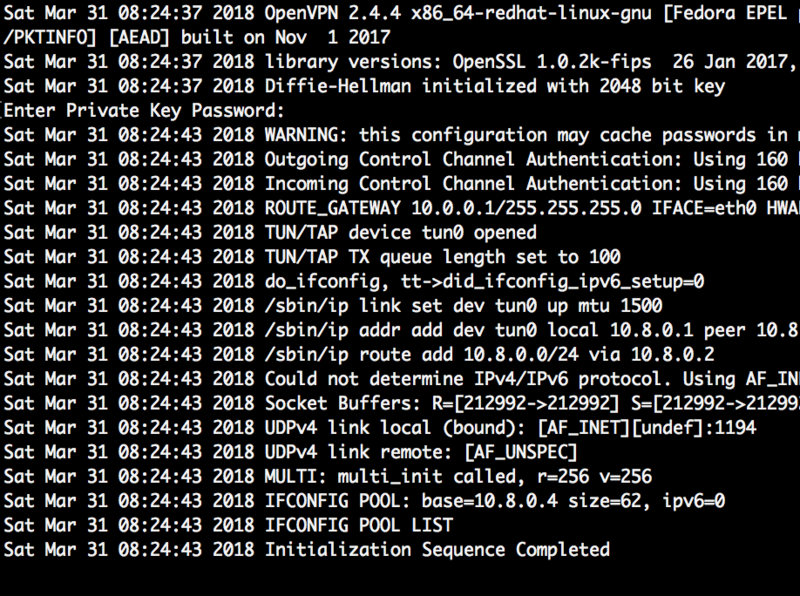 If someone is reading my blogs for the last years you may remember that I have once written about setting up OpenVPN for accessing SUP on AWS. That blog was all about Windows and is outdated. I wrote it in 2012. But, as I published it once at SAP Community Network, it is not available anymore. SAP lost it during their last migration. This entry was posted in Cloud, Raspberry Pi, Technology and tagged ami, aws, ca, certificate, easy-rsa, linux, openvpn. Bookmark the permalink. i tried nohup ./openvpn > openvpn.log 2>&1 & but exits after i go to next line. Also will be great if you provide tutorial on how to generate certificates and revoke them i know adding this line at the bottom of your server.conf file allows this. do you have the ta.key file? I think the line `sudo mv /etc/openvpn/ta.key /etc/openvpn/easy-rsa/private` is incorrect. depends on the location of the ta.key file in server.conf. By default, it is in /etc/openvpn/ta.key. I moved it from there to make it aligned with the location of the other key / certs. You only have to make sure that openvpn can read the file. # on the server and ‘1’ on the clients. Thanks a lot for the article, may I write something related in Spanish; it’s so helpful. What a great article. I had my openvpn server up and running in no time!